The telecommunications industry is undergoing a major transformation, with communication service providers (CSPs) evolving rapidly into digital service providers (DSPs). This shift is led by technological innovations and changes in consumer habits, both of which disrupt existing business models. The new generation of mobile telephony customers have access to almost any product, immediately, anywhere and at any time, at their fingertips, and they want their purchases to be delivered quickly and at the lowest possible cost. The same is expected from their services provider. To meet the customer demands, a DSP should be able to configure, deliver and assure on-demand services with minimal level of customer interaction, effortlessly and in real time. In this challenging scenario, artificial intelligence (AI), emerges as a key technological enabler for operators seeking the degree of automation required to deliver a broad set of customized offers in a very short time, while simultaneously assuring high levels of service availability and quality. Some very interesting research has recently been published by the Boston Consulting Group and MIT Sloan Management Review, based on a survey of more than 3 000 executives, managers and industry analysts. 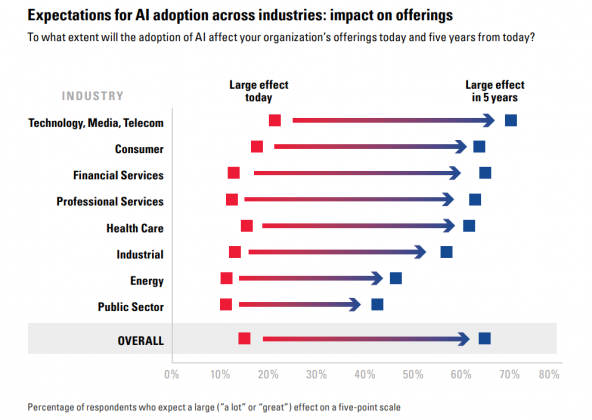 It shows that, of all industries, AI is expected to have the most impact on organizational processes in the technology, media and telecom (TMT) sector within the next five years. While the deployment of artificial intelligence in telecom industry operations promises limitless potential to prevent failures, manage and optimize networks, there are also risks associated with it. Are telecom businesses ready to give full control of their resources to an artificial brain? The threat of AI systems and devices behaving in a way they were not conceived for may be enough to halt plans for deployment of AI as a full-scale control engine for a telecommunications network. A safe alternative is to implement an approach where an AI application for service assurance acts mainly as the engineer’s assistant, rather than having full control of the network. The idea is very simple. The majority of network incidents are caused by known and/or repeating issues, for which workarounds or solutions have already been identified. Also, many capacity bottlenecks can be predicted, and resources can be re-allocated dynamically to accommodate traffic spikes in advance. A modern service assurance solution applies machine learning techniques to automate the resolution of repeat and trivial incidents, which usually make up 80% or more of all issues. In other words, the system will learn from the engineers. It will only repeat their actions in defined scenarios for which it has been given specific permission to do so. In such an approach, full control of the network remains in the hands of engineers, who can enable and disable the very specific scenarios in which the system can take action automatically, when and if they are comfortable with it. There are also many technical challenges on the road to establishing machine learning in telecom industry organizations. First of all, a fully integrated service assurance stack is a pre-requisite for the use of machine learning. For many operators wishing to use artificial intelligence, it’s important to know that a series of steps is required before being able to unlock the full potential of this technology. A typical telecom operator generates huge amounts of data every day. Once the process of data transformation and modeling is complete, the trained model (AI) can find and show dependencies, leveraging a “data lake” that stores all information in one place. The model can also explain why such dependencies exist, which can be used to determine the root cause of incidents and to predict some events in the near future. Training the model has three phases: open loop, semi-open loop and closed loop. In the open loop phase, the system observes the incidents and records the actions taken to address each of them. In the semi-open loop phase, the system detects a known incident, and, based on the root cause, it automatically suggests to the engineer a set of actions to address that particular incident. Once the engineer is confident about the defined actions, they may turn on automatic mode to allow the system to apply the suggested action for that incident/root cause without any sort of iteration (closed-loop or zero-touch). Before you consider the benefits that artificial intelligence will bring, it is vital to think about the organizational impact it brings. 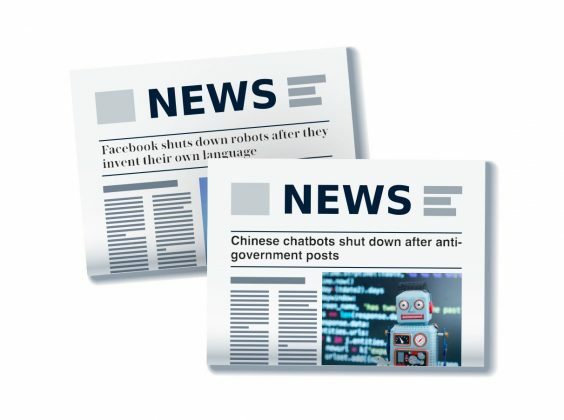 In a recent poll run by Telecoms.com, 41% of respondents said they feared their jobs would be lost to AI, and a whopping 69% said they believed that AI would take over the world. It may sound like a joke, but this is a reflection of what people actually think about this technology, and the majority of respondents were professionals from the telecommunications industry. Resistance within an organization during and after the implementation of this kind of project can also be a potential failure factor. In order to succeed, education within the organization and clear communication of the role that AI will play require careful attention. With the proposed approach, the role of AI is to help and assist network engineers, not to replace them, which might actually have a positive impact and reduce employee turnover, as the system would take over the most boring and repetitive tasks and the engineers could focus on solving bigger (and more professionally interesting) problems. It’s therefore becoming increasingly clear that CSPs need to evolve their legacy systems, molding their business models to enable them to stay relevant and profitable in the market. The adoption of cutting edge technologies such as AI will be, without question, a key competitive differentiator and a mandatory component in the future generation of DSPs, which will rely heavily on virtualized network components enhancing even more of AI’s benefits. CSPs that fail to understand this can find themselves left behind, crippled by their legacy systems into offering outdated and inflexible plans, having expensive and inefficient operations and being unable to catch up with competitors – the CSPs which did transform successfully into DSPs, or even the OTTs which may by then have become DSPs.